Halloween – Place both curved hands in front of your eyes and open them up. This sign looks like a mask covering your face. Pumpkin – Flick your middle finger on the back of your fist. This sign looks like you are checking to see if the pumpkin is ripe. How to teach this sign: As you are walking through the grocery store you could point out the pumpkins and sign PUMPKIN. Jack-O-Lantern – With open five hands, outline your face, outlining the JACK-O-LANTERN’s face. Costume (Halloween Clothes) – First sign the word HALLOWEEN (same as above), then sign CLOTHES. With your open 5 hands brush your thumbs on your chest. Ghost – Have your thumbs and index fingers touch. Then move the upper hand upwards while waving it slightly. It will look as though one is floating away from the other. To remember this sign, think of a GHOST floating away. Black Cat – Sign BLACK then CAT. For black you draw a line across your forehead with your index finger. For cat, pinch your thumb and index finger together on the side of your cheek, as you pinch your fingers together take them from the side of your face and move outward. This sign looks like you are feeling your whiskers. Witch – Take your X hand at your nose and bring it down to your other X hand. To remember this sign, just think of a WITCH having a long pointy nose. Monster – This sign looks like a MONSTER. Make a scary face and bring your claw hands up by your face. Just like you’re trying to scare somebody. Spider – Touching both hands at your wrist, wiggle your fingers. This sign looks just like a spider crawling around. 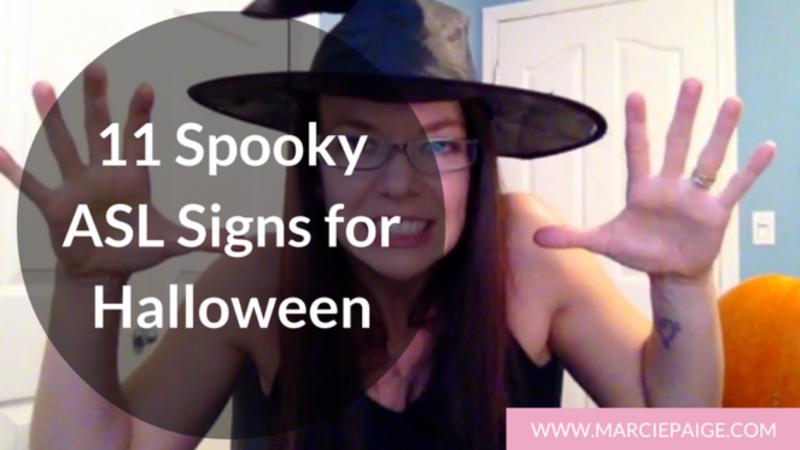 Trick or treat – First sign TRICK (with two X hands one slides over the other), then sign CANDY (see above). That’s it for today. Happy Halloween! P.S. 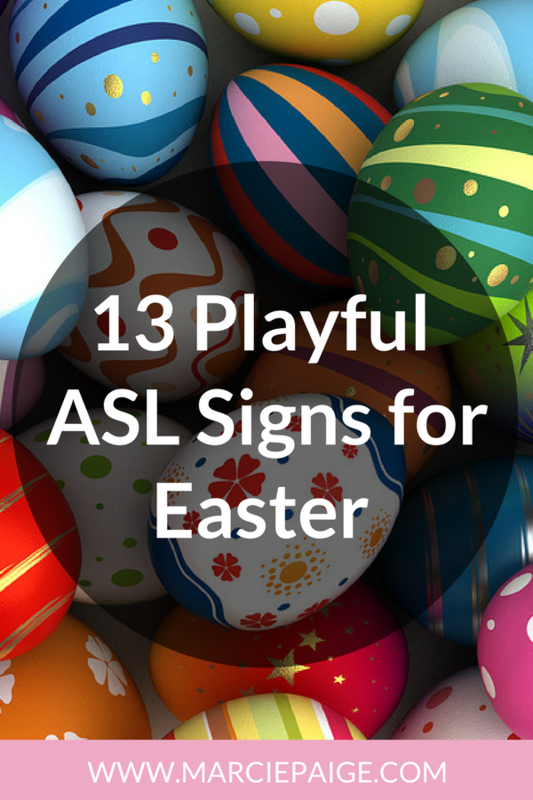 What’s YOUR favourite ASL sign for Halloween? Comment below!